Why is free improvisation important to me? Why do I find improvised music so compelling when it works? Growing up in Stavanger in the Nineties, I was lucky enough to be exposed to free improvisation on many occasions. The city had a reputation as the Free Jazz capital of Norway since the late seventies, much due to sax player Frode Gjerstad’s efforts to spread the gospel of free improvisation. 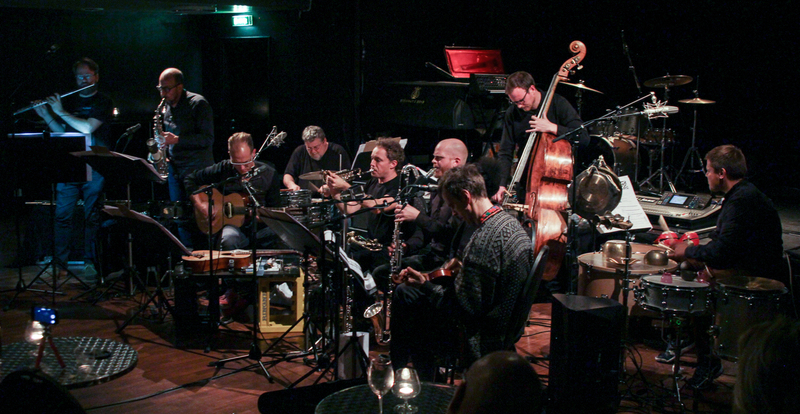 Gjerstad invited musicians from the British and American scene to play with him, like John Stevens, Derek Bailey, Nick Stephens, Louis Moholo, Kent Carter, Bobby Bradford and others. There was also the possibility of hearing and playing with musicians like Eivin One Pedersen, Didrik Ingvaldsen, Nils Henrik Asheim, Paal Nilssen-Love and Gjerstad. These experiences made a strong impression on me, opening up my mind and ears at an early age to improvised music. The surprises occurring, and the fragility, sometimes on the verge of collapse, as well as the unparalleled possibilities for musical interaction has always spoken to me, and free improvisation seems like the ultimate mode of musical communication. Playing on the actual sound of what you hear, rather than the sound of a pitch you hear within a previously decided harmonic system. I find free improvisation to be an unsurpassed method of making music, and I can blend all my experiences into my ”voice”. So why introduce notated scores into this idyllic anarchy? I have often thought about my want to ”improve” the free improvisation of my ensemble as something negative, as predetermined material changes the dynamics of the music, in a drastic way. I realize that this is an expression of my personal need to reconcile my two sides: Me the composer and me the improviser. But is there something to be gained by introducing predetermined material in an improvising ensemble? A small ensemble of good improvisers doesn’t normally really need any predetermined material, and there is a risk of closing its communication. If it can be improvised, improvise it. A large ensemble, on the other hand, may actually need it, and I think the communication can be opened up more by more structure, making it easier to communicate. I recognize this constant negotiation between listening and playing during an improvisation: I can input something into the system for it to stay alive, yet I’m careful not to push it too much, and risk creating unwanted chain reactions, all the while being sensitive to the different inputs from the other musicians. Burrows and Reed describe how a group of collectively improvising musicians, with no prior discussion, are able to quickly settle into what they call ”a musical ”equilibrium” in which players collectively explore and enhance a coherent musical space.” They call this achievement of equilibrium ”musical coordination”, and go on to describe how ”The greatest free improvisations exhibit an uninterrupted series of high-quality equilibria linked together to form a coherent structure or narrative”. This achievement of equilibrium, and subsequent coordination, comes when there is balance in all the inputs in the dynamic system, affording some momentary stability. This is the moment when I experience flow and focus, and I feel, in the words of Burrows and Reed ”able to make strong and distinctive musical contributions”. I’ve always loved the sound of larger, freely improvising ensembles, both as a listener or when I have had the opportunity to play in a large ensemble myself. The multi-faceted and complex sounds of ensembles such as the Spontaneous Music Ensemble, Splitter Orchester, Barry Guy New orchestra, Evan Parker and Anthony Braxton’s ensembles have made a big impression on me over the years. When everyone is attuned to each other in musical flow, the experience of the sound can be extremely powerful and satisfying. Unfortunately, when the music is not working, nothing can annoy me quite as much either: When the communication is lacking, for many reasons, a large improvising ensemble can sound smaller than the sum of its parts, boring and formless. The moments where everything works, and the music is great, are fantastic, but unfortunately these moments are very often surrounded by longer periods of either passive, frustrating searching for equilibrium, or chaotic, equally frustrating cacaphony. With an ensemble of ten musicians, successful music sometimes seems dependent on luck. At least if you want to achieve forms which are not the most basic clichees: Tentative introduction, gradual buildup, ecstatic section, fade. Thus, I think about a ”large ensemble” in free improvisation, as any group of more than 4-5 members. Any group above this is harder to coordinate musically, and not as naturally self-organizing. Achieving musical equilibrium and subsequent coordination in an ensemble of this size gets more difficult. If it does happen, it’s hard to sustain over longer periods of time without any form of organization. With the right combination of musicians, taking breaks and giving the others space, it is of course possible to make good music, but in my experience harder to achieve fast, coherent transitions and clear, unified musical ideas. This is why I chose to work with a large ensemble to explore the question of how improvisation can help me compose and vice versa: I believe a smaller group does not need any predetermined material to create music as good as anything I could write. A large ensemble, in my opinion, can benefit from it. Composing for an ensemble of free improvisers? There is a paradox here. 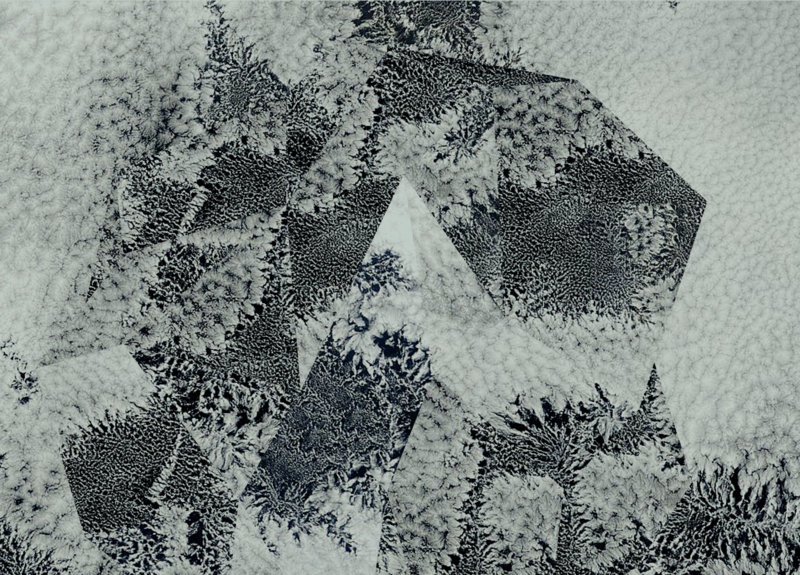 Free improvisation has no predetermined material, and the form is being created in real-time. It’s name originally derives from the fact that it is free from musical idioms and the shackles of musical genres. This is a form of music where one can play exactly what one hears, and express anything one may want to. But why would it be considered strange to roll on the floor screaming, while just screaming would be ok (albeit a little too extreme for some)? And why does a group improvisation tend to end with everyone stopping at more or less the same time? Why doesn’t one of the improvisers keep playing for five minutes after the others have finished? 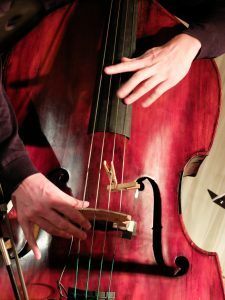 Why do so many improvisers today, including myself, tend to use so called ”extended” instrumental techniques or preparations, in stead of playing clear pitches (not to mention a c major arpeggio)? There seems to be some conventions and accepted practices to so called free improvisation. Maybe it is idiomatic after all? Yet, there is definitely some more wiggle room than in any other music, and idiosyncrasy is usually encouraged. Maybe one is free to be personal? To build one’s own language over time? Free to create your own expression of what free improvisation should be? The improviser’s language, or voice, meaning that which the improviser tends to play, is developed in real time, and over time, in small increments (Butcher 2011) . Every time we improvise, we discover something new, and put it in our lexicon of musical materials, where we can revisit and develop it at a later date, consciously or subconsciously. What you play is not only something that you have researched and practiced at home, but it also has to come out spontaneously, in the blink of an eye (to use an English idiom). So what is the difference between the ”idiomatic identity” of jazz, and the ”non-idiomatic” identity of free improvisation? One explanation could be that free improvisation is more a method than a genre, where you are free to invent your own idiomatic identity and modes of interaction, as in what Butcher says about developing your voice above. But how does one explain the different set of rules which Eddie Prevost points to? I believe the ”rules” of free improvisation stem from the ideology of the first improvisers, such as Bailey, based on a philosophy of rebellion against the established rules of music: Freedom from harmony, metric rhythm, linear form and tonality, forging an anti-aesthetic, closely related to modernism in classical music, and simultaneously influenced by collectivist ideals prevalent in society at the time of its birth. The discoveries and ideologies of these strong personalities, were maybe influential enough to make it seem obvious to continue creating music in the same way they had started. Now, is this a bad thing? Free improvisation is definitely alive and well, and continually developing both artistically and in terms of popularity, at least among young musicians. In my opinion, it’s perfectly possible to be personal and idiosyncratic within a genre as well, as Coltrane, Monk and Mingus have shown in jazz. In free improvisation, the palette is wider, and the freedom even greater. You can manipulate all parameters of the music, and in the beginning the genre was something new, so you didn’t have to relate to a then 60 year old tradition in the same way as in jazz. Today, the tradition of free improvisation is at least 60, and although it’s still hard to identify it as a genre, it seems to me that one’s music may be defined as belonging to some school or other by how dialogical your interplay is, what sounds you use, how close to the language of other genres like jazz or rock one stays etc. To me, this genre- or school-consciousness doesn’t really influence my aesthetic choices in music making in any dramatic way, other than how I am influenced by other musics. The method of free improvisation is sufficiently strong to keep the music developing in interesting ways, whether it’s a genre or not, in my opinion. So what kind of Free Improvisation do we practice in the Per Zanussi Ensemble? An axis or continuum comes to mind when thinking about communication and dialogue in an ensemble: On one side you have completely involved dialogue where the musicians respond to every impulse. Moving to the other side of the axis, there is a gradual separation of the musical streams or layers, with less and less communicative expressions of listening. Less like a dynamic system and more like separate layers. On the far side is (Cagean) indeterminacy. (Free improvisation is different from Cage’s indeterminacy, because it involves the improvisers’ memory and taste). In a way, this can also relate to the time scales on which we communicate: Slow communication, meaning reactions to impulses which will only be identifiable after some time, can easily be mistaken for non-reaction or non-equilibrium. It can be a useful strategy to try to align our different reaction-times within the ensemble, so that everyone feels included in the communication. However, it can also lead to interesting parallel streams when it sounds like someone is ignoring the ongoing dialogue. Even though our common aesthetic reference at the start of the project was close to to the style of European free improvisation, the musicians in the ensemble all come from different musical backgrounds. Some come from classical music, some from jazz, and a few have almost exclusively played free improvisation. This means that we have quite different approaches to improvising freely, and to concepts such as virtuosity, collectivity and communication. During a free improvisation in the ensemble, especially in the beginning of our work, there were many methods of improvisation going on at the same time: Dialogical improvisation, with fast reactions to each other’s impulses. Slow, layered playing, at the other side of the axis. Some working with blending their sound with others while some would take the foreground every time. Some subverting and some following. Some extremely expressive and some minimal. This can be interesting in a smaller ensemble, but in a large ensemble it leads to a greater feeling of non-related streams, and I identified this as an area to experiment with when composing. Today, I think the ensemble is oscillating on this axis in a more controlled way, and a culture of sorts has emerged. A philosophical difference I have also noticed (and tried to influence through composition) is how some musicians will almost plan how to improvise in advance, whereas for others, who prefer to start from scratch, this is anathema: ”When I improvise with her, I usually play something like this” vs ”I don’t want to know anything about what is going to happen in advance”. To me, both approaches are valid, but the last one is closer to the idea of free improvisation, of course. In the classical tradition the standards for instrumental sound are rigid, and idiosyncrasy is not encouraged. The word ”extended” seems to imply that they are extended from the ideals of the classical tradition. Within the world of free improvisation, on the other hand, where finding your own sounds and applying them musically according to your own aesthetics is the method, the word ”extended” seems superfluous. Your personal lexicon of musical material is influenced by your entire web of artistic practice: Your background, your relationship to your instrument, the musicians you work with, the environment you belong to and the concerts you go to. Both the sounds you use, and the way you use them with others. What kind of materials do we use in our musical dialogue? What parametres are given most importance in the free improvisation we practice? To me, one way it makes sense to think about our material is in terms of pitch content, along the lines of Denis Smalley’s classification of sounds on a spectrum from note via node to noise. By ”node” he means a sound which is made up of both pitch and noise, in the middle of the spectrum. In the PZE the focus in a free improvisation will move along the whole spectrum, from note to noise, but it seems to me that we often feel most comfortable in the ”node” to ”noise” part of it: Prepared sounds, multiphonics, extreme timbre manipulations etc. Too clearly pitch-based improvisations in an ensemble of this size can be tricky, with a lot of possibility for creating chords that reference tonality in a way we do not want. I agree with Bailey, and this quote illuminates what he means by ”non-idiomatic”: The atonal music does not, in theory, allude to any idiom, and you are free to move, non-rhetorically, wherever the music takes you. Pitch based, atonal music is really not what I want to play either, though, and we’ve been skeptical of this kind of improvisation in the PZE as well. We use several ”classical” instruments, and I feel there is a risk of sounding like a bad version of Webern, so choosing to work with more noise-based material is a conscious aesthetic choice. Another reason for working with more noise/node-based techniques is that the idiom of Western ”classical contemporary” music is still a strong tacit influence on much of the improvised music scene today, and vice versa. We can’t escape the influence by this, especially the more texture based music from the sixties and forward, like Lachenmann, Xenakis, Sciarrino etc. (This, I suppose, places the ensemble’s improvisations firmly within George Lewis’ ”eurological” category). Some of the ensemble’s musicians also have have a lot of experience with playing contemporary music, and their artistic practices are heavily influenced by this background. In the PZ Ensemble, one common (re-)occurrence of use of clear pitches I see over time in our improvisations, is using one pitch as an anchor. I will get back to this, the idea of the ”Main Tone”, when I speak about the Korean influence on this project, but the tendency to use central tones/pedal points is something I also heard early on in our improvisations. I think this is because several of the players already liked to use this device, often combined with microtonality. It gives some stability or equilibrium to an improvisation, while still being open enough to play and manipulate for a while, and does not necessarily step outside the aesthetic of ”European free improvisation”.